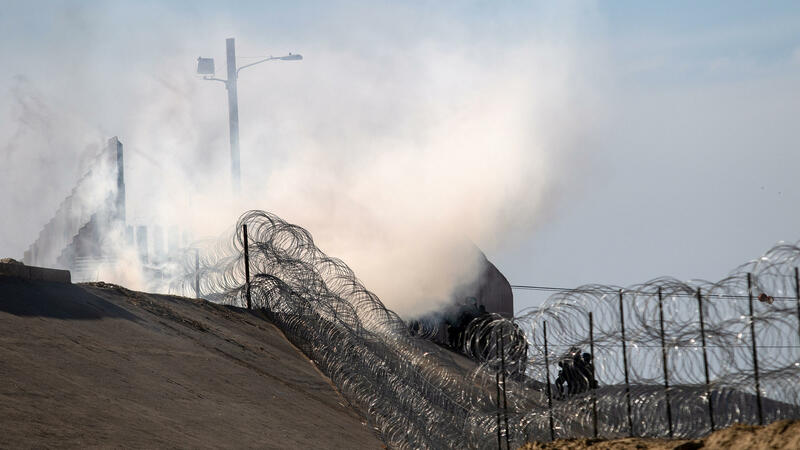 Tear gas thrown by U.S. border agents is seen near the border crossing in Tijuana, Mexico, on Sunday. The federal government is aware that asylum-seekers face a backlog. A report from the Department of Homeland Security's Office of Inspector General published in September described the issue. 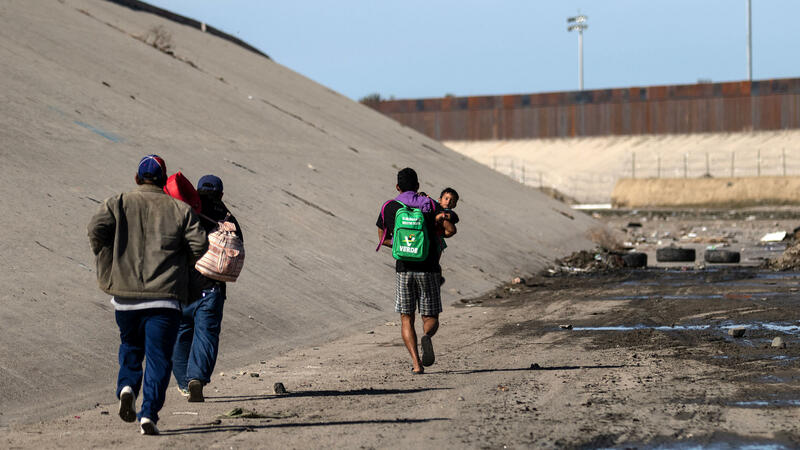 The U.S. government has encouraged all asylum-seekers to go to ports of entry, rather than along the rest of the border. 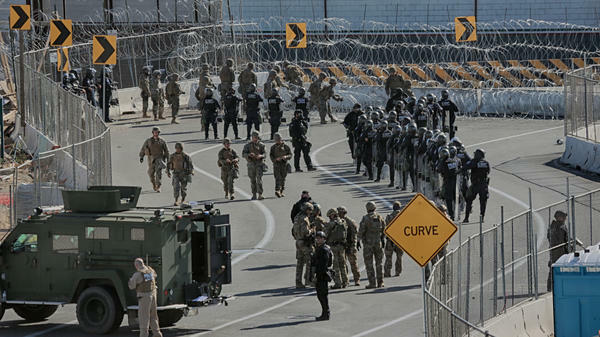 At the same time, authorities are limiting the volume of asylum-seekers allowed at ports of entry. 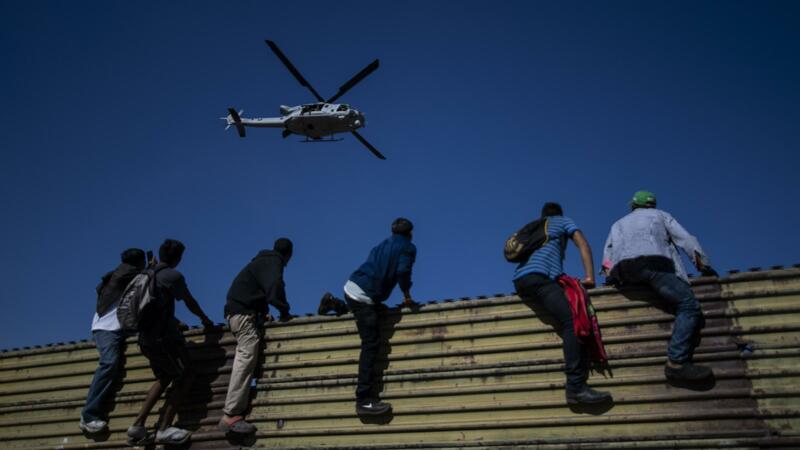 The "competing directives" have created a backlog, OIG found, likely causing more migrants to enter the country illegally. "They went down into this kind of riverbank, where there is not that giant steel fence that divides the U.S. and Mexico," he says. "It's a chain-link fence and barbed wire. A group of them started pushing up against that fence." It was a windy day, and the tear gas drifted at least half a mile, Fredrick reported Sunday. Families with children, including some far from the altercation at the fence, felt its effects. A total of 1,800 troops are in California as of Monday, an increase compared with recent weeks. Some of the military police — it's not clear how many — participated in the border action over the weekend. The memo expanding the military's powers was signed by White House chief of staff John Kelly, which is unusual. It was reportedly opposed by both Mattis and Secretary of Homeland Security Kirstjen Nielsen. The difference, according to the Trump administration, is the kind of migrants turning up at the border. In the past, migrants were largely single adults who could be deported quickly. Today's migrants are more likely from Central America and part of family units. That means they have greater protections under U.S. law, and it may take months or years to deport them. In the meantime, hundreds of thousands have been released into this country, awaiting their day in court. Within hours, the incoming Mexican government appeared to pull back from the deal. In a statement, Sánchez Cordero declared that "there is no agreement of any kind" between the U.S. and Mexican governments, "since the next president, Andrés Manuel López Obrador, will take office on December 1." However, the statement doesn't really deny that there have been some negotiations between the two countries on how to handle the migrant caravan. It also implies that López Obrador's incoming government cannot yet announce any deal, if there is one, because he has not taken authority. Under the so-called "Remain in Mexico" policy, The Post reports asylum-seekers would be screened in interviews allowing them to claim a "credible fear" of persecution in their homeland if they return there. They also would have to establish a "reasonable fear" of persecution in Mexico if they remain there. Only those determined to have a "reasonable fear" of staying in Mexico would be allowed into the U.S. to await an asylum hearing. All others would have to wait in Mexico to apply for asylum. "But one thing we know right off the bat is that it cannot be legal unless they can assure all the asylum seekers who will be stranded in Mexico ... will be safe — not only from persecution by state actors in Mexico, but by criminal gangs. And from what we know about what's going on, we see no likelihood that that is going to be true. And so because that's part of the legal analysis, whether the asylum seekers will be safe in Mexico, we can't imagine any proposal will be legal."